Do you subscribe to the newsletters of your favorite authors? If you’re a gmail user, you might find that you don’t always see those newsletters because they end up in the “Promotions” tab. Don’t worry! You can train gmail to include author newsletters in your regular inbox. A new tab will open. Click on the add contact symbol. Add the new email address. Move the newsletter from the promotions tab to the Inbox. Now, click on the newsletter and drag it to the “Primary” tab. 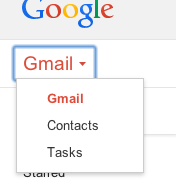 Gmail will ask if you want all emails from this sender to be included in the primary tab. Click Yes. Would you like to be notified when I have a new release? Click here to sign up for my newsletter.